We are thrilled to have Fine & Raw as a sponsor again for this year’s Holiday Handmade Cavalcade! Fine & Raw checks off all the boxes an informed shopper with exquisite taste could want - high-quality products, dynamic packaging, a sustainable business model, and a company that cares about its community. And speaking of taste, we know anyone lucky enough to receive a gift of this exceptionally crafted chocolate will be begging to know more about it! 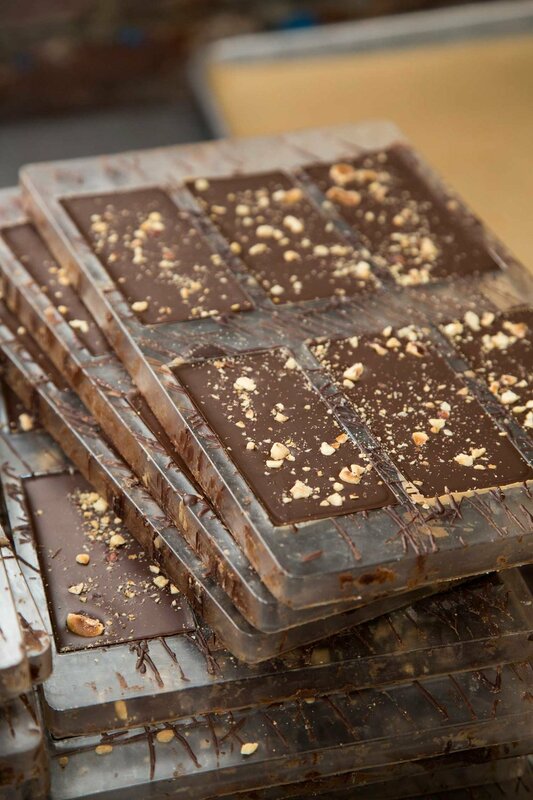 Founder Daniel Sklaar started out by making small batches of raw chocolate in his Williamsburg loft in 2008. He shared the fruits of his labor with friends and offered delivery to local purveyors via bicycle. The enthusiastic response he received, combined with his research into the science of the health benefits associated with raw chocolate, motivated him to hone his craft and expand his flavor offerings. Since then, Fine & Raw has grown into a collaborative team of makers (kind of like the NY Handmade Collective!) that produces its mouth-watering confections right here in Bushwick. An absolute dedication to quality and flavor is immediately apparent with your first taste of any of Fine & Raw’s delicious line of bars, truffles, and spreads. We especially love the smoothness and unexpectedly rich complexity of the chocolate. Even better, it’s dairy free (great for vegan friends!) and sweetened with coconut sugar, which lets the deep flavors of the un-roasted cacao shine through and maximizes the nutritional and health benefits of raw chocolate. 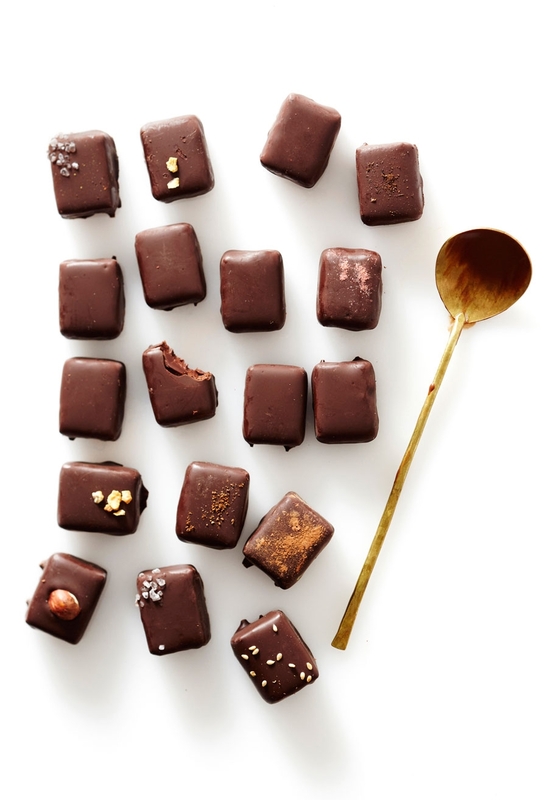 Stop by Fine & Raw’s table at Chelsea Market (December 3-9) and the Brooklyn Historical Society (December 15-16) to see for yourself what dedication to crafting the finest chocolates in the world looks - and more importantly TASTES - like!